The faint sound of battle drums can be heard in the distance, as the majority of Wyoming’s 48 school districts test the waters to see what homeschoolers will let them get a way with. Whether you think this applies to you or not, it does, because the Wyoming Supreme Court already ruled that, contrary to the Wyoming Constitution’s first seven words in Article 1: “All Power is Inherent in the People”, the tax payers have no legal standing against a school district. This was decided when parents of a special needs child who was severely mistreated and captured on video, sued a Park County school district for their decision to not take corrective action against those who mistreated the child. My point, even if you do not homeschool, you need to pay attention to what is going on, after all you are trusting the school district with your children, you need to know the dirty tricks they are playing with homeschoolers and private schoolers, because you could be next. When it comes to state statutes, if the law does not give a state or county entity (in this case 48 school districts in 23 counties throughout the state of Wyoming), that entity does not have authority to do it. This serves to protect the citizens from “fill-in-the-blank” willy-nilly, “enforcement” of laws that do not exist. So why are the entities tasked with overseeing the education of children enrolled in government schools throughout Wyoming having such a difficult time reading and understanding the state statutes that do and do not apply to them as well as state statutes that do and do not apply to homeschoolers? These entities, who are tasked with making sure Wyoming’s government educated children can read and write, have absolutely no ability to comprehend state statutes as written! That is appalling. School districts and school boards in Wyoming have taken it upon themselves to -at PUBLIC- school board meetings, go through and “approve” homeschool curriculum and “accept” Letters of Intent to homeschool. Generally, homeschoolers fill out one form that serves as a Letter of Intent to Homeschool and a Curriculum Submission form, because we are required to by law. There is nothing in the statute that says a district or school board must approve or accept that form. (c) In addition to subsection (a) of this section, the parent, guardian or other person having control or charge of any child under the age of eighteen (18), who has not otherwise notified the district of enrolling that child in a different school district or in a private school or home-based educational program, shall meet in person with a school district counselor or administrator to provide the school district with written consent to the withdrawal of that child from school attendance. The written consent to withdrawal shall include a separate provision authorizing the release of the student’s identity and address to the Wyoming national guard youth challenge program, as established by W.S. 19-9-701, for the sole purpose of recruitment into the Wyoming national guard youth challenge program. 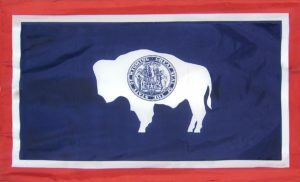 You may think it is not a big deal, but over the years I have been contacted by many parents who have gotten the run-around from various school districts in Wyoming, and this year, I have been contact at least twice by parents in a county I once touted as being the best county in the state to homeschool in. Natrona County School district has attempted (and thankfully their attempts were thwarted) to deny Homeschool and private school students access to dual enrollment -where a child takes some classes at a government school, and some at home or private school-, and have tried to deny access to clubs, and sports. Homeschool Parents and Private school parents pay taxes too, if they want to utilize services that their tax dollars pay for, they should not be denied that, especially since every single child of compulsory age in Wyoming is supposed to have access to a “free” government education. 21-4-301. Schools to be free and accessible to all children; minimum school year. 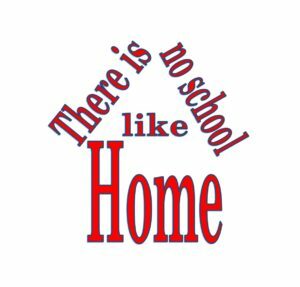 Except as otherwise provided by law, the public schools of each school district in the state shall at all times be equally free and accessible to all children resident therein of five (5) years of age as of September 15 of the applicable school year and under the age of twenty-one (21), subject to regulations of the board of trustees. Each school district shall operate its schools and its classes for a minimum of one hundred seventy-five (175) days each school year unless an alternative schedule has been approved by the state board. Prior to submission of a proposed alternative schedule to the state board, the board of trustees shall hold at least two (2) advertised public meetings within the district, at which the board shall present the proposed alternative schedule and respond to public questions and comments. Any school district operating under an alternative schedule shall annually evaluate the effectiveness of that schedule in meeting the educational goals and purposes for which the schedule was adopted. A school district in Sweetwater County has been “approving” letters of intent/curriculum submission forms at public school board meetings! There is nothing in the state statutes that gives them the authority to review the forms that homeschoolers are legally required to submit, especially not publicly, where children’s names and addresses could become a part of the public meeting minutes! 21-4-102 (b) A home-based educational program shall meet the requirements of a basic academic educational program pursuant to W.S. 21-4-101(a)(vi). It shall be the responsibility of every person administering a home-based educational program to submit a curriculum to the local board of trustees each year showing that the program complies with the requirements of this subsection. Failure to submit a curriculum showing compliance is prima facie evidence that the home-based educational program does not meet the requirements of this article. The only thing a school board or district representative can do is make sure that the requirements are being met. That is all. The letter of intent is not asking for permission, it is stating a fact: “We will be homeschooling our children [names] at [location] for the 20__ -20__ school year” The letter then lists the curriculum that will be used for each student for each of the required subjects. 21-4-101 (a) (vi) “Basic academic educational program” is one that provides a sequentially progressive curriculum of fundamental instruction in reading, writing, mathematics, civics, history, literature and science. These curriculum requirements do not require any private school or home-based educational program to include in its curriculum any concept, topic or practice in conflict with its religious doctrines or to exclude from its curriculum any concept, topic or practice consistent with its religious doctrines. To read the full duties of the school boards for each of the 48 school districts as prescribed by law read 21-3-101 through 21-3-133. A school district in Converse County is trying to force parents to use the districts forms, insisting that they cannot accept letters of withdrawal, or letters of intent/curriculum submission forms that were not provided by the district. ( 21-4-101 (c) above). These are just a few examples of school districts in Wyoming operating outside the purview of the law! I contacted Superintendent of Public Instruction Jillian Balow’s office and was told that they cannot oversee the school districts in these matters. I explained that the districts are acting out side of the law, I asked Mrs. Balow’s office to please have her call me, and instead received a phone call from the Attorney General’s office, who confirmed that there is no way for the Superintendent of Public Instruction’s office to hold the local school districts when they operate outside of the law! Folks, 48 school districts in the state of Wyoming have obtained god-status, they appear to be above the law, and they know it! That should terrify you. There is no recourse to hold them accountable, the Wyoming Supreme Court already ruled that tax payers cannot sue school districts, even when the well-being of a child is at stake! Right now this discrimination is against homeschoolers and private schoolers, how much longer before the school districts begin to discriminate against you or your child for your political or religious beliefs? We need legislation to stop this, we need our legislature to take corrective measures to ensure the tax payers of the state of Wyoming that school districts will be held accountable for their actions! I have legislation that I would like to see come back, but we will need an army to stand behind us if we ever want that legislation to see the light of day. We can fight back, but the tax payers of Wyoming have to do it together, this is not a fight that you can let a few passionate people fight for you. Your children, your grandchildren no matter where they go to school can be affected by the school districts’ out of control, unaccountable behavior. Do not assume this is not your concern. A school in Park County was caught on video abusing a special needs child, and got away with it. The school district didn’t do anything about it, and because of the current laws giving our school districts god-status, the Wyoming Supreme Court washed their hands of it. This is not only a homeschool and private school issue. This is a school district issue, and every parent, every tax payer must demand that the school districts are held accountable, because right now, they don’t answer to anyone when they violate state laws. Please sign the petition today, and be sure to share this article to let your family and friends know that Wyoming’s school districts are running rogue.